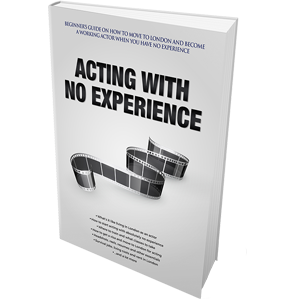 Acting training is the first step towards launching a career as an actor. 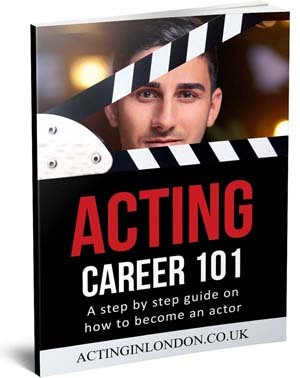 Aspiring actors who are just starting out have a choice to either go through a 3-year drama school training, or attend acting classes in local acting schools. Today, we’ll cover all types of acting classes that exist. 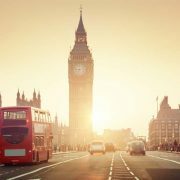 We’ve previously discussed the difference between acting classes and drama schools. You should know that either option has its pros and cons. In particular, an acting school with evening acting classes is great for people who cannot afford drama school training, or have other commitments (like work, family, etc.) and are unable to attend a full-time acting training. If you’re looking to become an actor and have no experience, starting with acting classes is the cheapest and fastest way to see whether acting is something you truly enjoy doing. You don’t have to depend on auditioning and getting a chance to be a part of a theatre play or a film set; simply join a class and test your chops there. However, there are many different types of acting classes out there, some more important than others. Today, we’ll discuss all the types of acting classes that exist to give you a better idea on what you should choose as your first step towards acting training. 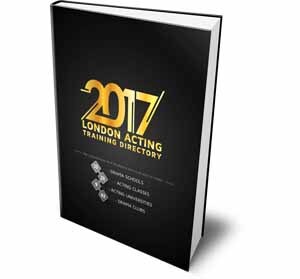 If you’re in London and want a full list of ALL acting classes, drama schools, acting universities, acting schools, drama clubs and more, then take a look at our London Acting Training Directory that contains every possible option where you’ll definitely something to your liking. In the meantime, here are all the acting class types you need to know about. I’ve listed the below ten types of acting classes in the order of importance, and noted the level of importance under each acting class type. However, note that some of these entirely depend on your personal case, so this is not a “one size fits all” ranking of importance. Also, note that some acting classes (like Body and Movement) may have been ranked as “Low” in importance because the talent agent will unlike to care much about these on your resume. However, for you as an actor, these classes are usually just as important to polish your skill set and become a better, well-rounded actor. 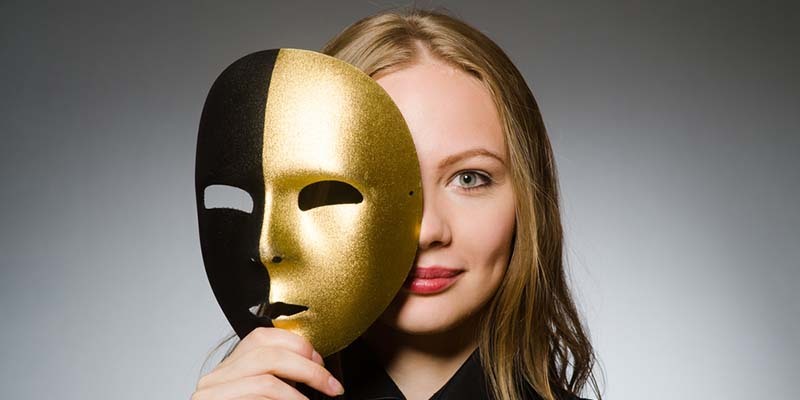 These are the most common acting classes that every actor takes, or at least must take. 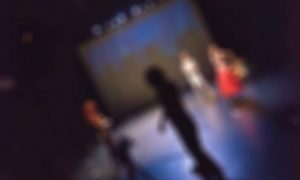 If you’re not going to a drama school, an acting technique class should be the first one you should take. Each acting teacher has their own take on how an actor can become better at this craft and their own techniques they’ve learned from their own acting teachers. You always have to choose which method you connect with the most, therefore, it’s best to audit several different classes and see where you connect the most. 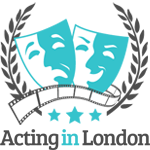 In an acting technique class, you will learn all the basics of acting by using a specific method. The skills you learn here is what differentiates you from someone who doesn’t know how to act and someone who has some skill in acting. Just as the name suggests, audition acting technique classes focus on the art of auditioning itself (which – as most working actors will tell you – is different from the art of performing). It’s always a good idea to include a course of audition classes in your training, because auditioning is not easy by any means and can sometimes be even more difficult than the performance itself. Most actors dislike auditioning because they’re not good at it, and there are many ways to either screw up your audition, or succeed at it. Note that I’ve also included the “On-camera classes (Screen classes)” title here. This is because depending on the acting school, an audition class may be labeled as an On-Camera class, meaning that the teacher will put you on camera as you’re practicing your audition to review it later. However, this title is more common to classes I mention below. Just like the two types of acting classes above, this one is also often recommended for most aspiring actors just starting out. Even if you’ve trained in a reputable drama school, chances are you didn’t have enough professional on-camera training with real filmmakers, or haven’t broken down enough scenes. Here is where you fix this. These acting acting classes differ slightly depending on the teacher and the school, but usually it’s either on-camera scene study class, or simply a scene study class where you don’t get to work on camera and only analyze and practice acting scenes. General scene study class: In these ones the group and their teacher explore all kinds of scenes for plays, television and film. Normally, teacher gives you the material, people working on it read the material, block it out, rehearse it, act it out and then present as a finished acting scene. Moreover, scene study classes are usually based on some kind of acting technique you learned in your Acting Technique class (discussed above). It could be Method Acting, Meisner Technique or anything else. Based on the theory of that particular technique, actor is taught how to truthfully act out a scene for a play, film or television, and it’s up to you what you use. On-camera scene study: These are the same as above, but the only difference is that after you break down the scene and practice it, you also get to be put on camera, which is extremely useful and gives you a chance to get used to performing in front of the camera. Actors in an on-camera scene study class will learn how to control their vocal levels, how to know where to stand and where to go, and all other on-camera acting technicalities of which there are millions. Trust me, 9 times out of 10, new actor will need to take this class, and a director on a professional film set will thank you for taking it. Known as cold reading in the US and sight reading in the UK, these types of acting classes delve even deeper into the auditioning process and explore just one single part of it – reading from the script, analyzing it and doing it right in front of casting directors. The main thing you’ll learn in a cold reading class is how to quickly prepare the text: how to read it, break it down and analyze it, memorize your lines and deliver them. This class is particularly useful for actors going out on a lot of commercials, as those types of auditions usually give you much less time to prepare, but the class is good for any aspiring actor in general. There are many golden rules to cold reading. Such sight reading class will teach you how to get to the main part of the scene, what are the right questions to ask, how to understand your character, your obstacles, etc. You will learn to accomplish all these basic things very fast so that you have more time to think about your actual performance rather than figuring out what the text is about. Just like the acting class title implies, improvisation classes will teach you the skill of improv. While I labeled the class as of “Medium” importance, improvisation is actually a very highly valuable skill that will make any actor significantly better, whether you do drama or comedy, whether you do just commercials or film and theatre. 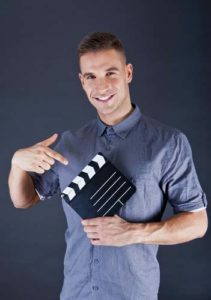 Improv class are not required for actors auditioning for film, television and theatre, but they’re almost a must for actors pursuing auditions for commercials. This is because improv is not only about comedy timing and being funny; it’s also about getting out of your head and being able to think on your feet, fast. Commercial auditions will often ask you to improvise. In fact, every commercial auditioning you’re going into, you can safely assume that some improvisation will be required, which is why most acting schools with Commercial Acting Training classes either already have improv in them, or have a separate class that’s recommend for actors to take. We have a whole article dedicated only to explaining improvisation training. 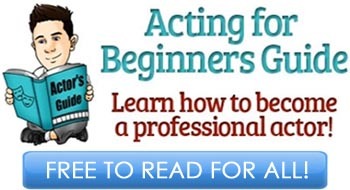 Here is another essential class for actors who are pursuing acting jobs in commercials but – unlike improv classes – is not that necessary or even useful for actors that don’t go out for commercials. Ideally, you should have both – improv and commercial class training on your resume. However, if you were to pick just one, it should always be improv. So what’s the difference between commercial acting classes and improv classes, or auditioning classes? Good question, because there is difference. Audition Technique acting classes teach actors how to behave during an audition, and they focus on the whole auditioning process in general. Improv classes teach you the basics of improvisation and how to get out of your head and think on your feet. Now, commercial classes will teach you everything about commercials – from auditioning, to reading scripts, to improvising, to behaving on a commercial shoot, and so forth. Note that commercial acting is not the same as acting for film, theatre or TV; it’s very different (which is why you never put commercials on your acting resume/CV). We are slowly sliding into a “not very necessary” territory as it applies to your acting resume and how talent agents and casting directors see your acting training; however, in general, it depends how important a Voice/Vocal class may be for you as an actor. 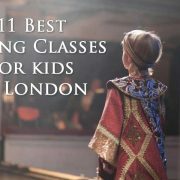 Naturally, if you want to pursue acting on West End or Broadway, these types of classes are a must and would be first on the list. However, most musical theatre actors come from drama school training, which is where they spend three years singing and training voice, and it’s unlikely you’ll go far in musical threatre without drama school training. Vocal classes will teach actors how to use their voice to the best of its ability, how to breath properly, how to control it; there will also be singing lessons. You will learn how to be more aware of your vocal abilities, which is a great skill to have regardless of which acting path you’re taking. If you have the money and the time, it’s always a good idea to take vocal training classes, even if you’re not auditioning for any musical roles and focus on film or TV, for example. This is why British actors are considered much better than, say, Americans – most of them gone through 3 years of voice classes as part of the drama school training. This is the exact same situation as it is with vocal classes that I’ve described above. What vocal classes do to your voice, body and movement classes will do to your body. You will become more aware of every limb you have. You will explore physicality of every part of your body that you are able to move. While some classes may be called exactly that, most of these classes will not be labeled as “body and movement” and will have different names depending on which background they are based on. They will have something in the title to imply that it’s that type of training, however. Furthermore, some acting schools can use specific techniques to improv actors’ movement techniques. For example, the most popular (and probably most useful) is the Alexander Technique, but occasionally it can be something as simple as yoga. These classes can be extremely useful to an actor for an overall skill set and becoming a more well-rounded performer. Unlike the above two classes on voice and movement, this one is considered less useful to actors not in this area of performance. 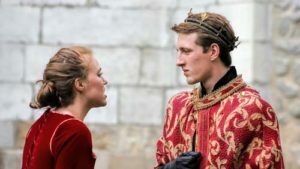 Unless you’re auditioning for a part in a Shakespearean play or you specifically have dedicated your acting career to stage, and you haven’t had drama school training, classical acting classes will not be of much use to you. Just as you probably have suspected, these types of acting classes teach students of various historical and period acting techniques. They’re perfect to learn Shakespeare and how to do it right. They teach voice and movement techniques, reading Shakespeare and other classical literature, and how to perform it according to standards. However, if this is your primary aim, training in drama school would be much more beneficial, as these classes are incomplete and usually not long enough to learn anything substantial. 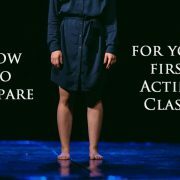 But again, if you have the time and money, and you’ve taken all other classes mentioned above, this may be something useful to explore to become a more well-rounded actor. Voice-over classes aren’t the same as vocal classes. We’ve talked a lot about voice-over acting career on this website before – it’s a great path an actor can try when all the other options are slow to pick up, or if it’s something you’re passionate about. However, voice over acting is completely different from film/TV/stage acting, and is normally considered as a different career. Voice over classes are only necessary for actors who want to specialize in voice overs; for everybody else, they’re pretty much useless and you better off spending your time elsewhere. Voice over acting class will teach you all the technical skills you need to have to become a voice-over actor, and there are a lot to learn. Many actors falsely assume that voice over acting is easy and there’s not much to know, but the opposite is true. So if that’s the career you’re after, voice over classes should be first on your list. For everybody else, it’s better you spend your time and money on any of the above listed types of acting classes. As you can see, there are many different acting class types. You can pick one or two to focus on what you need to work on at the time, spend a few months to a year studying in that class, and then switch to something else to continue improving as an actor. There’s no question that technique or foundation acting classes listed as number one here are the most important ones for actors with no experience. Everything else can be extremely useful and generally recommended, but your technique is what makes you good. 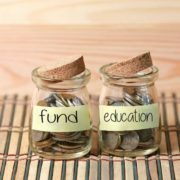 What you must know is that some classes will run their course and you’ll be done with them. This also applies to your technique class – once you’ve learned everything you can, it’s generally good to look for something else to get out of your comfort zone and continue to improve. There’s only one class that you should continue taking on an on-going basis, while keep switching and learning from every other class. That ongoing acting class is the scene study class – make sure you’re always, always in a scene study class (it’s better if it’s on-camera). These classes are cheaper and they will keep you on your toes, always improving. READ NEXT: Online Acting Classes – Are They Worth It? Huh, I did not know there were so many types if acting classes!